Bright color photographs show examples of various insects undergoing metamorphosis. 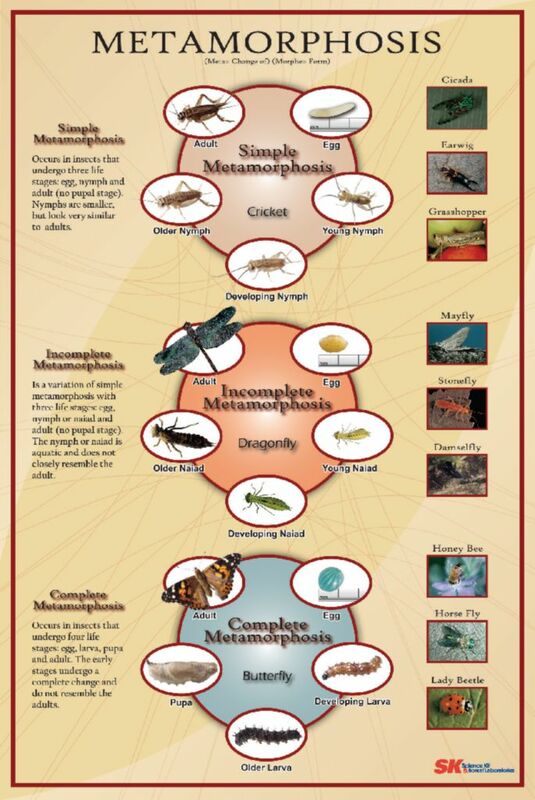 By studying this poster students will become familiar with the three specific types of insect metamorphosis that occur — simple, incomplete, and complete. 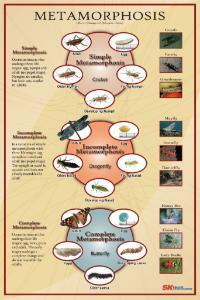 Students learn to tell the difference between each type of metamorphosis and recognize the insects associated with each.